Budweiser was looking to get to 100 per cent British sourced barley by 2020. 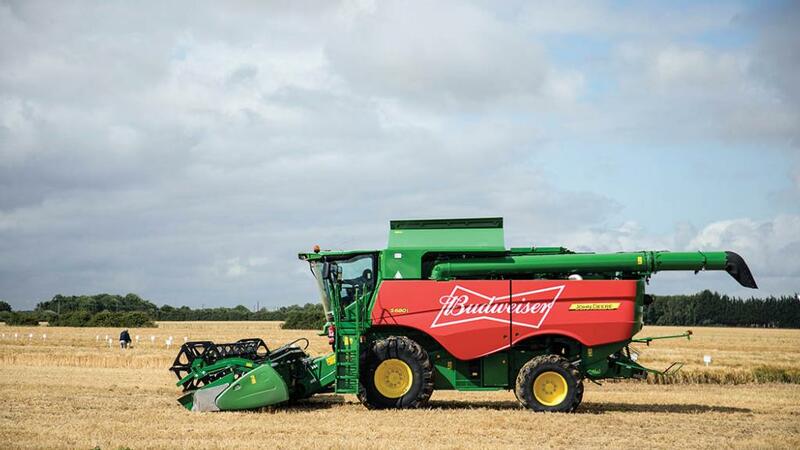 Sustainability was the key goal for Budweiser going forward as it looked to move to 100 per cent UK grown barley in its UK beer, alongside making sure its global farmers were ‘skilled, connected and financially empowered’ by 2025. Katie Hoard, global director of agricultural innovation for the brand’s parent company AB InBev, said if they wanted to be brewing beer for the next 100 years, they needed farmers for the next 100 years. “For a UK farmer, that is looking at what is the next big thing coming in agriculture, new technologies, new practices and how do farmers implement those without bringing more risk to their operations," she said. About 75 per cent of UK Budweiser was made from British barley, up from 50 per cent last year and the company was targeting 100 per cent by 2020. And they were also looking at using 100 per cent renewable energy, and were already self-sufficient in CO2 production at their main brewery. “Getting to 100 per cent UK barley for our Budweiser production is really important. When you think about think about beer it is a very local product, brewed locally,” she said. This comes alongside growth in sales, with Budweiser the second most popular beer in the UK behind Stella Artois – and the single largest growing brand last year. And it was looking to use the World Cup to boost engagement and sales with Matthew Leadbetter, senior brand manager, hoping to see it being the most talked-about brand. “If England win the World Cup we are going to be giving free beer to the nation,” he added. Ms Hoard added they were looking to connect the supply chain, looking for similarities in countries such as the UK and Uruguay. Their agronomists would then be looking at new varieties, crop management tools and practices which could be introduced in the UK in the same way the Explorer variety used in Budweiser had allowed their ingredients to be grown here.